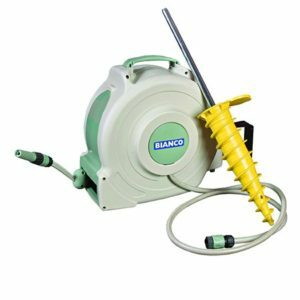 The Bianco BIA-HP15AH-C is a compact self-priming engine driven firefighting pump which comes complete with hose fittings and suction strainer. This pump has an output of 330 litres per minute and a suction of 7 metres. It can operated with a head of up to 55 metres. It comes with a 1x1.5”, 2x1” BSP male discharge ports and a 1x1.5” BSP male suction port. This firefighting pump comes with low oil engine protection, a roll frame and rubber mounting feet to ensure it can withstand the rigours of being moved around during a stressful fire event. This pump provides a high volume of water easily and efficiently and has the multiple applications of firefighting, tank filling, water transfer, as well as non-fire related applications such as boom spraying, irrigation and travelling irrigators. To reduce the risk of fire damage, and for the best result for your fire protection system, you should reduce the amount of flammable material around the house or buildings from dead material such as branches, grass and leaves, spark proof the house with materials such as metal fly wire and practice evacuation procedures. The water or fire pump should be tested and the fuel tank should be full at all times. There is a need to also ensure water reserves are maintained. 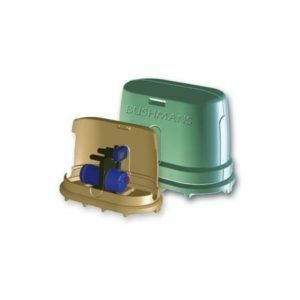 For more information of this and other pumps contact Bushmans on 1800 287 462.